ICANN is seeking public comment on a revised draft of the New gTLD Registry Agreement that will serve as the contractual document between successful New gTLD Applicants and ICANN, and will govern the rights and obligations of new gTLD registry operators. ICANN has made certain updates and changes to the New gTLD Registry Agreement in response to community feedback on the version of the New gTLD Registry Agreement posted for public comment on 5 February 2013 and discussions of the New gTLD Registry Agreement at the ICANN 46 meeting in Beijing, China 7-11 April 2013. 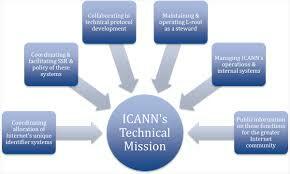 On 5 February 2013 ICANN posted a revised version of the New gTLD Registry Agreement for the community’s information and review. Based on community feedback during the ICANN 46 meeting in Beijing, ICANN and the Registry Agreement Negotiating Team have continued to negotiate the proposed terms of the New gTLD Registry Agreement. After review of the public comments received, the ICANN Board will consider the adoption of the revised New gTLD Registry Agreement.